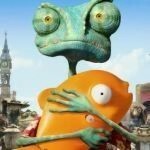 "Friday was a really interesting, a really kind of cool day," said Activision Publishing CEO Eric Hirshberg, as he reflected on last week's massive Modern War 3 leak and the company's response. "Cool" was a word I was not expecting out of the man in charge of shepherding an enormous marketing campaign that had just been knocked off of its horse. "No one wakes up and thinks, 'I hope there's been a leak and our timing gets all messed up,'" Hirshberg mused as he and I discussed the incident this week at a meeting at Activision HQ, but "if members of the government and the military aren't safe from this stuff, it's a part of our world now." "And while it's definitely not cool to steal other people's intellectual property, and while it's definitely not cool to leak stuff that's not yours, there are ways that you can respond that actually turn the lemons into lemonade," he added. "And that's what we tried to do on Friday." "It would be really easy to just obsess over the event, which was the leak, and obsess over how it happened, and that's only looking backwards," Hirshberg said. "And in the meantime, your launch just started. And you aren't always in control of the schedule and the dialogue, and you need to be comfortable of those rapids in this day and age. That's actually one of the things that separates good marketing from great marketing today." Hirshberg, who came to Activision last July from the CEO role at celebrated ad agency Deutsch, knows a thing or two about great marketing -- he helped invent PlayStation's Kevin Butler. 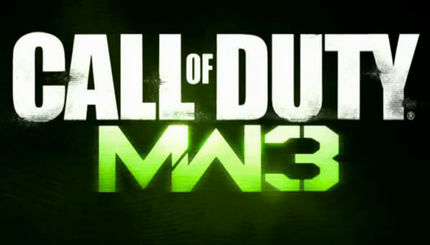 The Modern Warfare 3 leak appeared to be Hirshberg's biggest challenge to date in his new role heading up Activision Publishing. It called for immediate and decisive action -- whether that was simply to go into the typical, "crazed lock-down mode" or try something a bit more unprecedented. "There was a diverse chorus of voices at the table," Hirshberg recalled of the company's internal discussion following the leak. "Everything from 'do nothing; we're sticking with our plan; this will blow over' to 'lean even further into it' to what we did -- and everything in between." An effort was made to "see through the lens of our fans," who had become genuinely excited about the game because of the leak. "They didn't do anything wrong," Hirshberg pointed out. Those assets, a series of teaser clips most prominently posted on YouTube, garnered more than 3 million combined views in just 48 hours, according to Hirshberg's count (the current combined total is close to 4.5 million views on YouTube alone). By comparison, Hirshberg said the first Modern Warfare 2 and Black Opsteasers -- released according to schedule -- attracted a mere 61,000 and 89,000 views, respectively, in their first two days of availability. "So if you add those two numbers together, and take the sum and multiply it by 20 times, you'd have what we generated with these four teaser videos," he boasted. "So I think we managed to turn a crisis into an opportunity." I asked Hirshberg if he thought this comparison indicated that Activision had gotten its Call of Dutymarketing wrong before. "I don't think it means we did anything wrong," he insisted, "both Modern Warfare 2 and Black Ops were, at their times, the biggest entertainment launches ever." "I think that what you're pointing to is the power of response in these moments," he added. "And responding is different than reacting or overreacting, or not reacting. Showing a willingness to be a part of the connected, digital, social universe we live in as a company is very powerful." "Now, people aren't consumers of brands anymore; they're fans of brands," Hirshberg observed, noting that "social media is a huge shift in the way brands connect with consumers." Video games and other media products have become "some of the stuff that we actually use to help define ourselves to others," and "I think people have a very human connection with the stuff they like these days," he said. "We kept coming back to the fans, to the people who love this game; who are just waiting; for whom that day was just a really cool day," Hirshberg imagined. "All that interest for us we knew was harnessable in a positive way. The other thing we wanted to do was, if there's gonna be a dialogue about our game, we want it to be between us and our fans and not between the leakers and our fans." "You don't want to spoil the surprises that the game has to offer," he added. "Leaks are not positive things, even though we might have used it as a way to amplify our initial viewership." Hirshberg admitted that the the source of the leak "clearly had deep access," but claimed that "not everything that was leaked is accurate." Activision's internal investigation is ongoing, but appears to be driven by less urgency than its public response. "The mystery of the leak itself is not solved, and it's better to let that unfold." Of course it wasn't a leak, otherwise the official YT channel CallOfDuty wouldn't have had the promo movies ready. Ye since they have got WoW, Diablo, Guitar Hero... They'll probably be bankrupt yes.